The armed Syrian opposition has got their hands on chemical weapons, which they acquired from Libya, a media report claims. 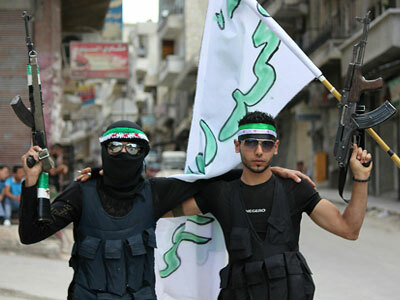 They allegedly plan to use it against civilians and pin the atrocity on the Bashar al-Assad regime. ­The report by DamPress claims the opposition group in possession of the weapons is being trained in its use inside Turkey. No further detail on the alleged conspiracy is given. The Libyan stockpile of chemical weapons was a matter of great concern during last year’s civil war in the country. There were fears that they may end up in the hands of the terrorists and used elsewhere in the world. However unlike Libya’s portable surface-to-air arsenal, no reports of the weapons going missing was made public. 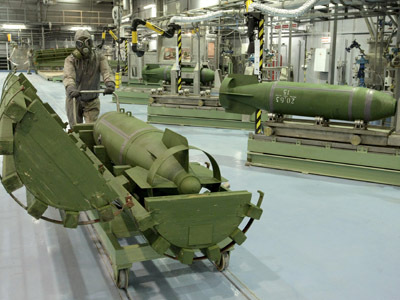 Syria has a greater number of chemical weapons than Libya. Military experts say the agents in the Syrian stockpile are also more modern that what Gaddafi had produced for his military. Syria also didn’t join the Chemical Weapons Convention and is not obliged to declare what chemical weapons it possesses. The chemical framing plot allegations comes days after British journalist Alex Thomson from Channel 4 news accused a Syrian opposition group of trying to set him and his crew up to be killed by government forces. He said a western journalist death would give bad publicity for Damascus. Syria is sliding back into violence after a UN-brokered peace plan failed to bring the rival forces in the country to negotiation table. The worst of the incidents of renewed bloodshed were two massacres of civilians in the villages of Houla and al-Qubair. 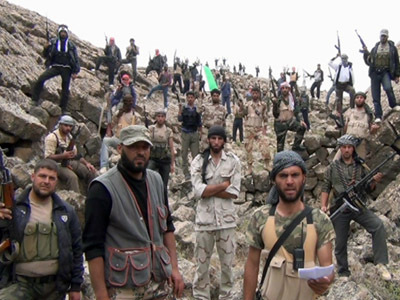 Opposition blame the killings on pro-government paramilitary forces, while Damascus says both incidents were provocations carried out by terrorist groups. The UN observer mission currently deployed in Syria failed to establish for certain who committed the atrocities. The conflict in Syria has been raging for 15 months now, with the exact death toll difficult to establish. UN estimates that about 10,000 people have been killed in the violence.